Exactly 18 years ago today, on December 6, 1999, GMA-7 launched a brand new morning show, Unang Hirit, as an answer to ABS-CBN's highly popular Alas Singko Y Medya. 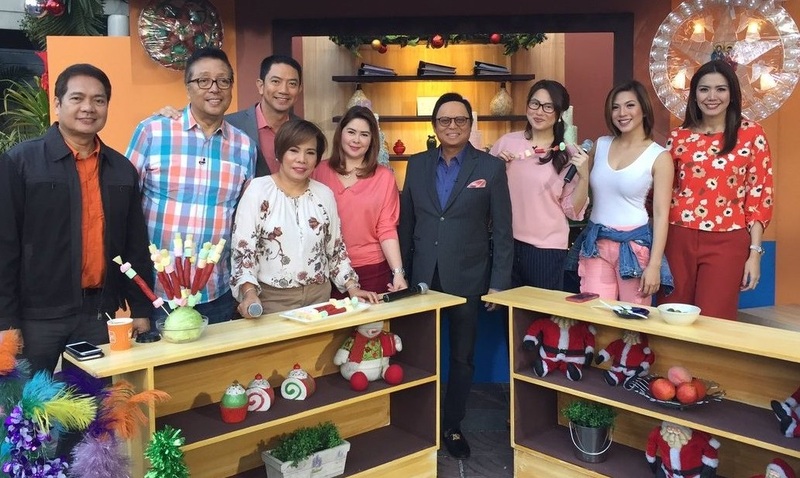 Originally hosted by Arnold Clavio, Suzi Entrata-Abrera, Lyn Ching, Miriam Quiambao, Ryan Agoncillo and Mickey Ferriols, the show would later become a serious competitor in the lucrative morning show race. In the years since its debut, UH welcomed new members to its on-air team: Rhea Santos as its lead female news anchor, Lhar Santiago as its showbiz reporter, and "Reyna ng Kalsada" Love Añover as traffic reporter. Other would eventually join the pack, with ABS-CBN veteran Connie Sison, Susan Enriquez and Ivan Mayrina as co-anchors, and Luane Dy and Nathaniel Cruz as co-hosts. In our 2016 interview with Santos — who is now Philippine TV's longest serving female morning news anchor — she said that the reason why the show continues to succeed is because it appeals to what the viewers need every single day. "We do not fail to serve up-to-date information to help them go about their daily grind," she said. "Complemented with a roster of competent, credible, versatile, fun and approachable personalities, the morning show has become an extension of one’s home. Filipinos have found a tita and tito, an ate and a kuya in us." Indeed, viewers have found their morning barkada. And in recent years, even with an audience erosion among the morning broadcasts, UH remains #1, at least in AGB Nielsen's measurements. For the week of November 6, for example, UH scored an average of 2.3% versus UKG's 1.7%.